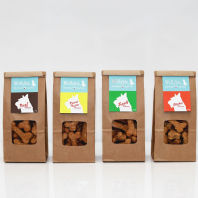 Our great tasting range of handmade doggie treats, laboratory tested and completely free of any artificial flavours, colours and enhancers - perfect for your four-legged friend! 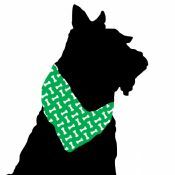 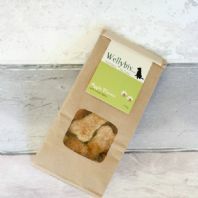 Apple Healthy Hand Baked Dog Treat with Tasty Fresh Mint! 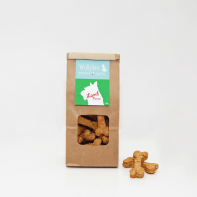 Carrot Healthy Handbaked Dog Treat with Tasty Fresh Parsley! 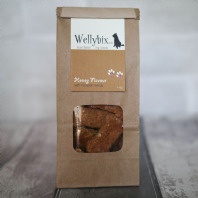 Chocolate Flavour healthy dog biscuits with Carob to treat the pooch in your life! 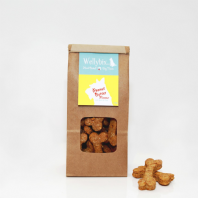 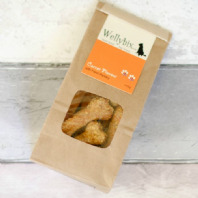 Tasty Chicken Flavour, healthy and handbaked dog biscuits with added fresh Thyme - Yum! 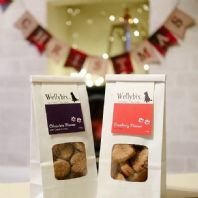 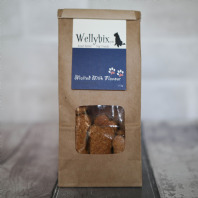 Our best selling biscuit treat - Blending Spelt Flour & Rolled Oats they are great for pooches with sensitive tummy's.